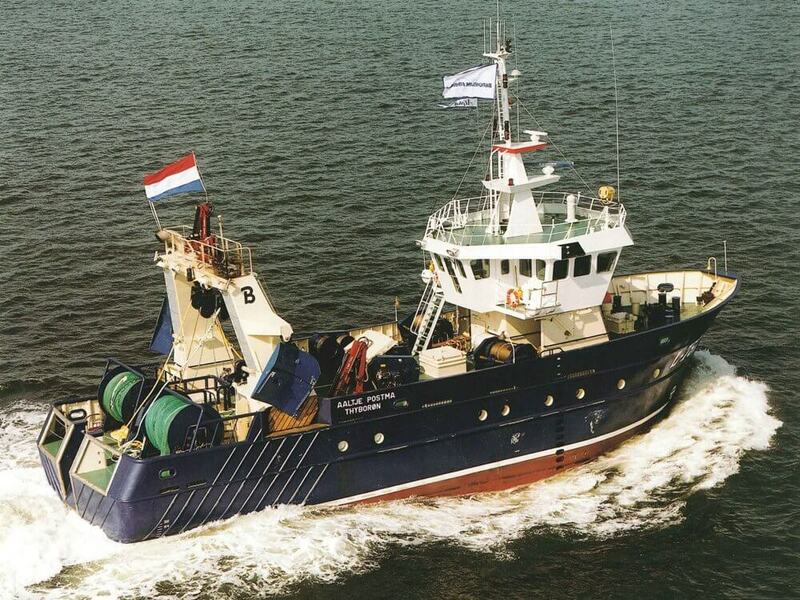 Trawler - Flyshooter m.v. Aaltje Postma - Conoship International B.V. The fishtrawler ‘Aaltje Postma’ can be used for two fishing methods: fly-shooting (snørrevaed) and twinrigging. 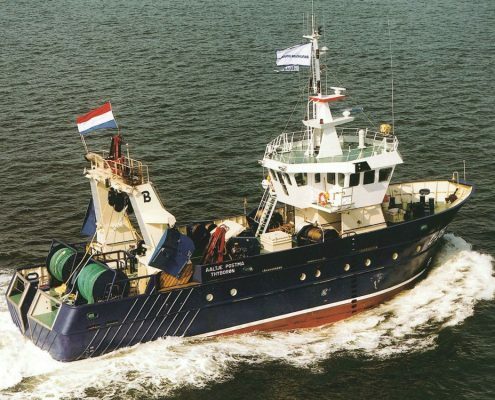 Both fishing methods are characterized by a low propulsion power that is required (low fuel costs), high quality fish and a minimum damage to the marine environment. The combination of these two fishing methods, the different layout and advanced installed techniques make this fishing vessel unique in her class.